Premier location close to parks, shopping, restaurants and commute routes.This 2BR/1BA condo sparkles with great light, ambiance and a spacious open floorplan. Special features include an updated kitchen & bathroom, master with custom built-ins & large deck for outdoor entertainment. All on one level, no stairs! Large storage space & carport parking. Great complex w/large outdoor heated pool. 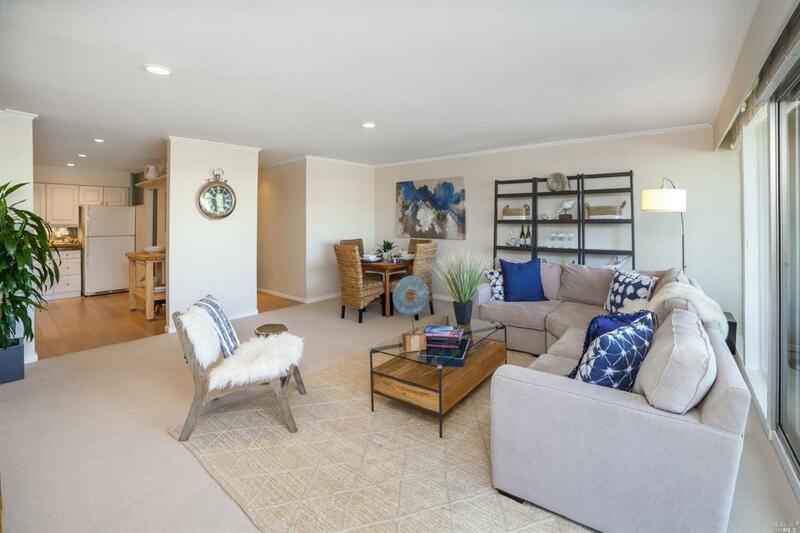 Live the Tiburon lifestyle with an easy commute to SF! Yard Grounds Deck(S) Landscaped- Misc. Attached Detached Home Attached Construction Type Wood Frame Exterior StuccoWood Siding Fencing None Garage Parking 1 CarAttachedCarportsCoveredGuest Accommodations Location Of Unit Other Lot Description DownslopeOther Other Structures None Pool Yes Pool Type Comm Facility Public Transportation 1 Block Spa Hot Tub YN No Style ContemporaryOther Views HillsOther Yard Grounds Deck(S)Landscaped- Misc.